Journaling for Passion, Clarity & Purpose! 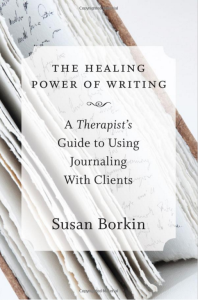 Susan Borkin joins me once again, to share a therapist’s viewpoint on the journal-writing benefit of improved self-esteem, and walk us through a few tips from her book, The Healing Power of Writing. Maybe it’s a generational thing, but I don’t seem to hear about the importance of a positive self-image anymore. When I was growing up in the late 70’s and 80’s, all the top motivational speakers spent their time convincing teenagers that the key to any worthwhile accomplishment was a firm, inner belief in themselves. Today, the concept is not quite lost, but it certainly has its share of competing messages. Susan and I describe some specific writing exercises that can “train your brain” to appreciate your strengths and forgive your weaknesses. Your turn to answer: Have you found that journaling helps strengthen your friendship with yourself? When you use your journal-writing to “look in the mirror,” do you see someone valuable and lovable looking back? Post your responses in the comments section at the bottom of this webpage, or join the fans, followers and friends in the JournalTalk community, to share your unique perspective and tips regarding the question-of-the-week. Now Available on Google Play Music: Click here. For Coaching with Nathan Ohren: Click here. To Join the JournalTalk Community on Facebook: Click here. To Listen to this week’s JournalTalk: Click on the “play” button > at the top of this page. This entry was posted in Audio Podcast, JournalTalk and tagged befriending myself, healing power of writing, journal therapy, journal-writing questions, journaling podcast, JournalTalk Q&A, self-esteem, Susan Borkin, writing to boost self-image on May 10, 2016 by Nathan Ohren. Anonymous callers are so much fun, and ask such close, personal questions. This one asks, “Can a journal help someone with anger management issues?” I’ve got some thoughts of my own on this, but I’ve invited back back Susan Borkin, to include a therapist’s viewpoint. Her book, The Healing Power of Writing,is a great resource for questions like this. I’m not sure whether people actually still recommend using punching bags (or pillows) to release feelings of anger or frustration. But in my experience, I’ve found writing to be a more effective first step for emotional release. Giving myself permission to “say” everything I need to get off my chest in a private place also helps me to focus on which of my thoughts are worth further processing, and which deflate and wither after they lose their power. Your turn to answer: Have you ever turned to your journal after losing your temper? Is writing an effective way to release or process feelings of anger? How can your journal help you move past upsets, and move into effective thinking and action? Post your responses in the comments section at the bottom of this webpage, or join the fans, followers and friends in the JournalTalk community, to share your unique perspective and tips regarding the question-of-the-week. This entry was posted in Audio Podcast, JournalTalk and tagged anger management, healing power of writing, journal therapy, journal-writing questions, journaling podcast, JournalTalk Q&A, Susan Borkin, writing to diffuse anger on April 26, 2016 by Nathan Ohren. Several episodes ago, I interviewed Susan Borkin, and we just “clicked”. I’ve enjoyed having her come back to share answers to those of your journaling questions that she has written about in her book, The Healing Power of Writing. Such kinds of inner suffering are the reasons most people turn to journal-writing in the first place. Susan shares a few writing exercises that can help to bridge the gap between you and a lost loved one. Your turn to answer: Has writing ever soothed you through a grieving period? How do you use journaling to connect with loved ones no longer living? What do you write about when words don’t seem sufficient? Post your responses in the comments section at the bottom of this webpage, or join the fans, followers and friends in the JournalTalk community, to share your unique perspective and tips regarding the question-of-the-week. This entry was posted in Audio Podcast, JournalTalk and tagged death of loved one, grief, healing power of writing, journal therapy, journal-writing questions, journaling podcast, JournalTalk Q&A, sadness, Susan Borkin on April 12, 2016 by Nathan Ohren. A quick Google search on the term “journaling” will offer at least one measure of social proof that there’s healing power in writing. But can journal-writing really help with long-lasting sadness? Can it cure, or at least relieve depression? Susan Borkin, author, licensed psychotherapist, and pioneer in the field of journal therapy, joins me in answering this second in a series of mental-health-and-journaling questions. 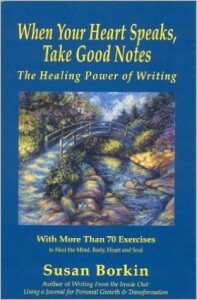 Susan shares examples from her most recent book, The Healing Power of Writing. Everyone feels blue from time to time, and that’s natural. The tips discussed in this episode can help with occasional sadness or chronic. Writing might not replace a prescription medication for every person, but for those who are healthy enough to take charge of their pen or keyboard, it certainly can make a pointed difference. Your turn to answer: Do you use journaling to help soothe any sadness, anxiety, grief, or depression? Do you think doctors should prescribe the use of therapy journals? Has writing ever proven to speed up your recovery time? Post your responses in the comments section at the bottom of this webpage, or join the fans, followers and friends in the JournalTalk community, to share your unique perspective and tips regarding the question-of-the-week. This entry was posted in Audio Podcast, JournalTalk and tagged depression, healing power of writing, journal-writing questions, journaling podcast, JournalTalk Q&A, sadness, Susan Borkin, therapy journal on March 29, 2016 by Nathan Ohren. It seems that the questions I’m receiving from listeners about journal-writing are becoming more numerous, more interesting, and more specific as this program continues. I’ve been saving a select handful having to do with psychological conditions for a co-host like Susan Borkin, a psychotherapist who shares my belief in the therapeutic value of journaling. Here is the first in that series: Patty asks, “How can journaling help with my anxiety?” Many people who suffer with irrational fears and worries will report that writing about those feelings only seems to intensify them. If you are among them, you’ll be pleased to hear Susan has several suggestions that make a huge difference. Susan and I walk through a straight-forward example of anxiety in the workplace, using her A-B-C-D-E technique based on cognitive therapy. For more examples and tips on this subject, you’ll want to check out Susan’s book, The Healing Power of Writing. Your turn to answer: Have you been frustrated, writing in circles in your journal, instead of finding relief? What tips do you have for addressing the issue and leaving yourself feeling empowered? Post your responses in the comments section at the bottom of this webpage, or join the fans, followers and friends in the JournalTalk community, to share your unique perspective and tips regarding the question-of-the-week. 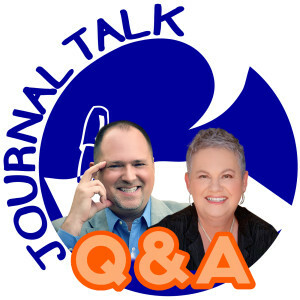 This entry was posted in Audio Podcast, JournalTalk and tagged anxiety, healing power of writing, journal therapy, journal-writing questions, journaling podcast, JournalTalk Q&A, Susan Borkin on March 15, 2016 by Nathan Ohren. When Your Heart Speaks, Take Good Notes! My guest this week was pioneering the field of writing therapy before such a field even existed, and long before the word “journaling” became an internet buzzword. Susan Borkin continues to make a difference for seekers of healing through words, as a psychotherapist and author of books including: When Your Heart Speaks, Take Good Notes, and Writing From The Inside Out. Her newest book, The Healing Power of Writing: A Therapist’s Guide to Using Journaling With Clients, contains a practical collection of exercises for anyone interested in personal transformation. Our conversation knocked on the doors of many interesting questions. Are some people more affected by the power of words than others? How did the practice of psychotherapy promote the notion of writing to heal? What was the origin of the “Aha!” moment? Is writing therapy more effective than talk therapy? You won’t want to miss the unique journal-writing exercise that Susan shares with her clients to reduce anxiety and manage unrealistic fears. To Join our Community: Please post comments and questions below, to further the dialogue. 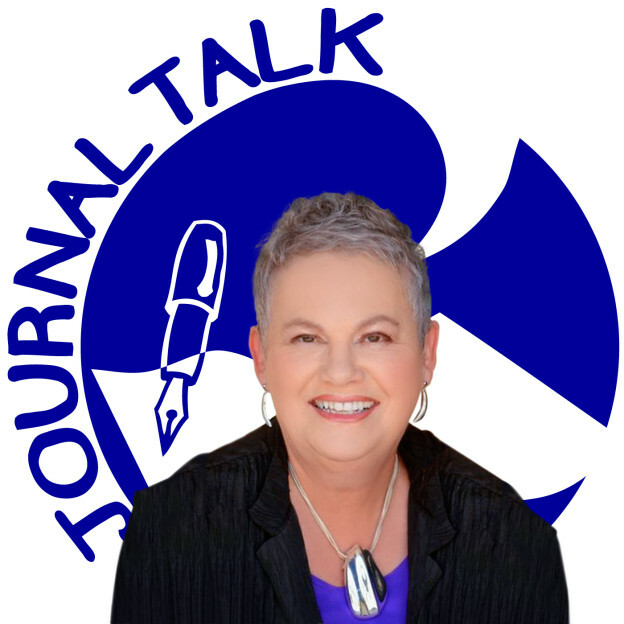 And connect with other JournalTalk friends in our private Facebook group. This entry was posted in Audio Podcast, JournalTalk and tagged healing power of writing, journal therapy, journal-wriitng exercises, journal-writing podcast, journaling tips, journaltalk, Nathan Ohren, Susan Borkin, Writing To Heal on January 26, 2016 by Nathan Ohren.